In recent months I’ve been doing a lot of reading into various factors that can exacerbate pain levels in sufferers of Fibromyalgia. This has not been a journey to find a cause or a cure. Quite the opposite. I’ve accepted, albeit reluctantly, that I am likely to be living with this chronic pain thing all my life. However, there are numerous things that can aggravated the symptoms of Fibromyalgia – Stress and Caffeine being just two of them. But my reading also led me into the issue of gluten. …general name for the proteins found in wheat (durum, emmer, spelt, farina, farro, KAMUT® khorasan wheat and einkorn), rye, barley and triticale. Gluten helps foods maintain their shape, acting as a glue that holds food together. And it turns out gluten can be in pretty much anything! Not only your bog standard breaded products, but anything that might use flour as a thickening agent (think gravy and soups for example). Do a web search for ‘why is gluten bad for your health’ and you’ll find numerous article like this one. 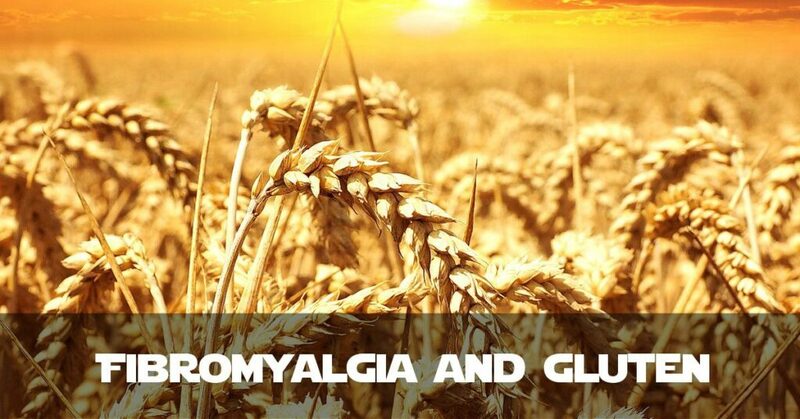 The downsides of consuming gluten are not limited to people who have an illness either. I’m no scientist so I’m not going to even attempt to say why it might be bad for people with Fibromyalgia. Instead, I’ll talk about my personal experiment. Presume everything has gluten in it until you read the ingredients. It’s safer that way! Don’t go directly to your supermarkets gluten-free aisle. Go to your regular aisles and check the ingredients. Only when you know you cannot get the food you want, go and find an alternative. Simple substitution works: so we have exchanged all our pasta based home cooked food with rice. No extra cost and fills you just as much. Home cook more than going out! Many places do now do gluten-free items on their menus. God bless Pizza Express – they offer most of their menu (pizzas included) as gluten-free. But check your preferred eatery before going out. It doesn’t take a lot of work to change the food you eat – add more vegetables and less processed/pre-packaged food. The hardest meal to replace was lunch. If you think about it lunch could be sandwiches, bakery goods, chocolate bars etc. Most lunch foods contain our favourite wheat component – probably because it’s filling! Instead now we have a chicken and rice salad for lunch with sweet chilli sauce. Very tasty and fresh and contains precisely zero gluten! So our food shopping is probably slightly more expensive but as we’ve just swapped ‘normal food’ for other ‘normal food’, the effect on our food bill is only marginal. Trying to cut this thing out of your diet does take a lot of forward planning. We plan our meals and shopping pretty strategically. And initially you have to check the ingrediants on everything! We can’t buy anything from the bakery section in our supermarket because they don’t put ingrediants on that packaging at all. And it’s totally possible some of those foods would be fine! But once you put the effort in you can be surprised that you don’t need special ‘gluten free’ foods, you just need foods that don’t have it in. So I can eat Galaxy Chocolate, Sun Pat Peanut Butter and most cheeses. Living in Scotland Oat Cakes are a common snack but most oatcakes are not safe for me to eat any more! Thankfully a local company, Nairn’s, have gluten-free oatcakes, so I can still enjoy this traditional Scottish snack! All it takes is time and patience to read the ingredients. A bit of a farce, but it is well worth it. Well, I can’t say my pain has reduced a lot since cutting out the big ‘G’. However, I had a moment of painful realisation. We decided to cheat one day and ordered in a takeaway pizza, oozing with gluten. I’m not allergic to other things like milk or cheese (I’d hate that). Within 10-15 minutes of eating what was a delicious BBQ pizza, I had a sudden, shocking spike of pain. Didn’t see that one coming! So I was probably aggravating my pain around mealtimes as a result of it. The downside is I can’t drink most beers (as they are made using grains), but I swapped that for fruit ciders instead – and I’m happy with that. We do have to inform family or friends if we get invited to dinner. And I know I can’t eat many desserts now, but I’m mostly fine with that. So for now, we will remain gluten-free. It’s not worth the pain spikes for the temporary pleasure of some of those foods! Do you have any experiences to share? Feel free to use the comments! Hi Jed! Good article! For me, I found that going gluten free helped but it wasn’t until I did a super strict elimination diet that the magic happened. Turns out that not only gluten, but also corn, millet, cauliflower, spinach, dairy, and a more were also causing problems. Things that I thought were ok, turned out to not be once I removed them and gave my body a chance to tell me what was really going on when I reintroduced it. I am now virtually pain free except when I accidentally ingest something I shouldn’t. Turns out my sensitivity to gluten is so bad that even if something is made in the same BUILDING as gluten, I can’t have it (or it is Russian roulette, never know what will happen). It is a challenge to eat so restricted, but it is so worth it to be pain free! I still have exhaustion from the underlying cause – lyme – but it is a million times better to not have the constant pain any more. I’m not saying everybody would be pain free if they did this, but it is what worked for me. Thank you again for the great post! What Happens If You Kneel to Valkorion in KotFE?